The crocodile and the boy went to the library. Meanwhile the crocodile went to play with the blocks. When the librarian stamps the crocodiles book she stamps the crocodiles paw. 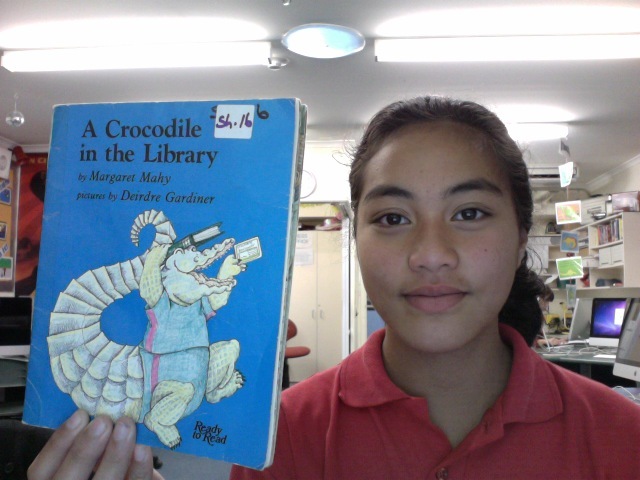 Kia ora Jane, the library has some great stories to read doesn't it and sounds like your book was one of them. I also enjoyed the mud slide movie too. Keep up the good work and keep on blogging.